I remember when we first met, at Woolton, at the village fete. It was a beautiful summer day and I walked in there and saw you on stage. And you were singing Come Go With Me, by the Dell Vikings, but you didn’t know the words so you made them up. Come go with me to the penitentiary. It’s not in the lyrics. I remember writing our first songs together. We used to go to my house, my dad’s home, and we used to smoke Ty-Phoo tea with the pipe my dad kept in a drawer. It didn’t do much for us but it got us on the road. We wanted to be famous. I remember the visits to your mum’s house. Julia was a very handsome woman, very beautiful woman. She had long, red hair and she played a ukulele. I’d never seen a woman that could do that. And I remember having to tell you the guitar chords because you used to play the ukulele chords. And then on your 21st birthday you got 100 pounds off one of your rich relatives up in Edinburgh, so we decided we’d go to Spain. So we hitchhiked out of Liverpool, got as far as Paris, and decided to stop there, for a week. 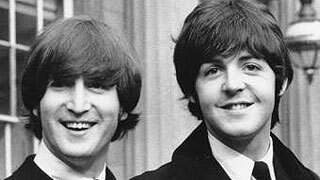 And eventually got our haircut, by a fellow named Jurgen, and that ended up being the Beatle haircut. I remember introducing you to my mate George, my schoolmate, and getting him into the band by playing Raunchy on the top deck of a bus. You were impressed. And we met Ringo who’d been working the whole season at Butlins camp he was a seasoned professional but the beard had to go, and it did. Later on we got a gig at the Cavern Club in Liverpool, which was officially a blues club. We didn’t really know any blues numbers. We loved the blues but we didn’t know any blues numbers, so we had announcements like Ladies and gentleman, this is a great Big Bill Broonzy number called Wake Up Little Suzie. And they kept passing up little notes “This is not the blues, this is not the blues. This is pop.” But we kept going. And then we ended up touring. It was a bloke called Larry Parnes who gave us our first tour, I remember we all changed names for that tour. I changed mine to Paul Ramon, George became Carl Harrison and, although people think you didn’t really change your name, I seem to remember you were Long John Silver for the duration of that tour. Bang goes another myth. Wed been on a van touring later and we’d have the kind of night where the windscreen would break. We would be on the motorway going back up to Liverpool. It was freezing so we had to lie on top of each other in the back of the van, creating a Beatle sandwich. We got to know each other. These were the ways we got to know each other. We went back with Gene Vincent to his hotel room once. It was all going fine until he reached in his bedside drawer and pulled out a gun. We said Er, we’ve got to go, Gene, we’ve got to. We got out quick! And then came the USA New York City where we met up with Phil Spector, the Ronettes, the Supremes, our heroes, our heroines. And then later in L.A., we met up with Elvis Presley for one great evening. We saw the boy on his home territory. He was the first person I ever saw with a remote control on a T.V. Boy! He was a hero, man. And then later, Ed Sullivan. We’d wanted to be famous, now we were getting really famous. I mean imagine meeting Mitzi Gaynor in Miami! Later, after that recording at Abbey Road. I still remember doing Love Me Do. 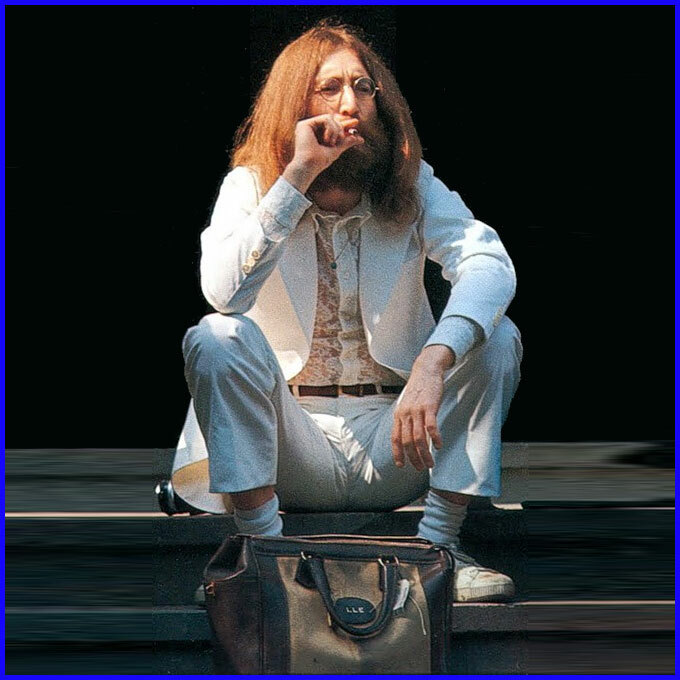 You officially had the vocal Love Me Do but because you played the harmonica, George Martin suddenly said in the middle of the session, Will Paul sing the line love me do? The crucial line. I can still hear it to this day you would go Whaaa whaa, and I’d go love me doo-oo. Nerves, man. I remember doing the vocal to Kansas City well I couldn’t quite get it, because it’s hard to do that stuff. You know, screaming out the top of your head. You came down from the control room and took me to one side and said, You can do it, you’ve just got to scream, you can do it. So, thank you. Thank you for that. I did it. I remember writing A Day in the Life with you, and the little look we gave each other when we wrote the line “I’d love to turn you on.” We kinda knew what we were doing, you know. A sneaky little look. After that I set up a couple of Brennell recording machines we used to have and you stayed up all night and recorded Two Virgins. But you took the cover yourselves nothing to do with me. And then, after that there were the phone calls to you, the joy for me after all the business **** that we’d gone through was that we were actually getting back together and communicating once again. And the joy as you told me about how you were baking bread now, and how you were playing with your little baby, Sean. That was great for me because it gave me something to hold on to. So now, years on, here we are. All these people. Here we are, assembled, to thank you for everything that you mean to all of us. This letter comes with love, from your friend Paul. 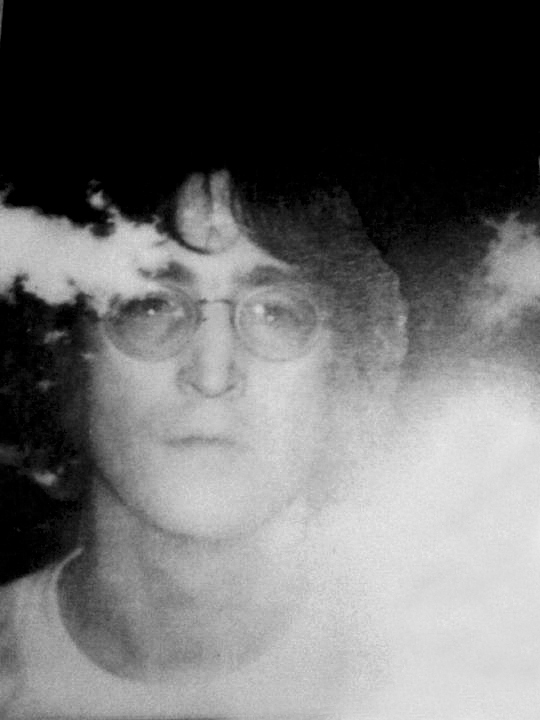 John Lennon, you’ve made it. Tonight you are in the Rock n Roll Hall of Fame. 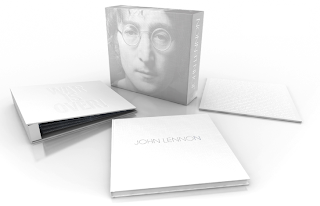 The unique “artist’s canvas” oversized Box (measuring over 15 inches by 13 inches, and 4 inches deep) is wrapped in a stunning, silver-inked portrait of John Lennon, with a precise reproduction of John’s original line drawing “Baby Grand” on the back. 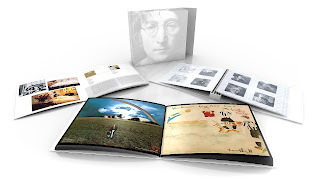 A brand new, full color discography of John’s, and John and Yoko’s, album catalog, with an exclusive essay and textual guide by Bruce Spizer; newly restored reproductions of classic Lennon album advertisements; John’s handwritten sound notes to DOUBLE FANTASY and MILK AND HONEY; and more. Two (2) art-adorned recordable DVDs, and two (2) different art-adorned recordable CDs, intended for you to record and store audiovisual and audio content you choose. We have received permission from Yoko Ono to create these unique CD/DVDs using classic John and John and Yoko art elements as well as from John’s drawings. Create your own “time capsule” content to store in your Box of Vision, or transfer and store your John Lennon, or John and Yoko, MP3s and videos.